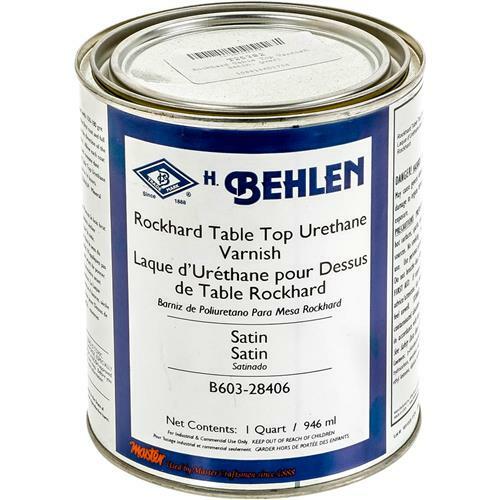 Rockhard Table Top Urethane Varnish is the coating you need when you want a hard finish that will deliver maximum resistance to water, alcohol, food stains, chemicals, detergents, and other damaging fluids. 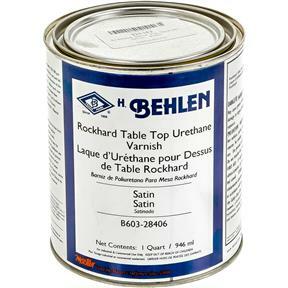 This abrasion resistant finish is ideal for using on table tops as its name boldly proclaims. Its toughness also makes it suitable for a multitude of other uses like wooden chairs, benches, desks, dressers, chests of drawers, vanities, bookcases, and so much more. Plus, it has a low VOC formula that is compliant in most districts. We suggest using Waterborne Urethane Finish for SCAQMD. Sets free of dust in four hours, use mineral spirits or paint thinner for clean up. Quart size of the satin finish. I have used this product before and will definitely buy it again . Strongly recommended .